Neat idea for the location of Lapis' star! Definitely enjoying Peri's updated outfit as well. Where do you think their stars will end up being? 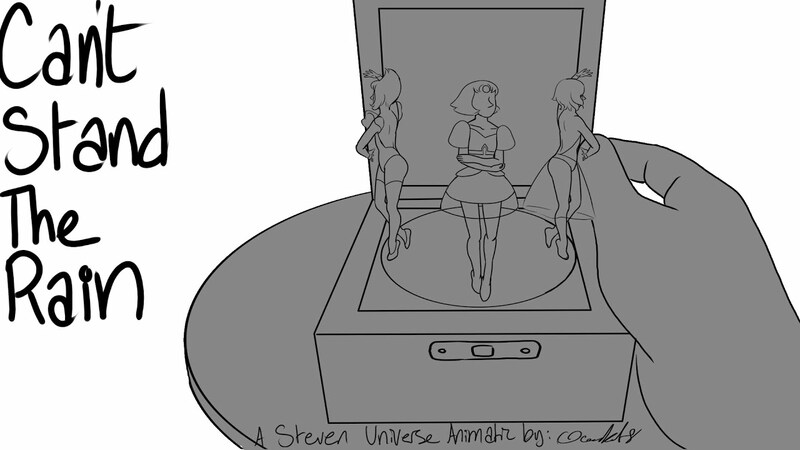 Will Lapis even have a star? 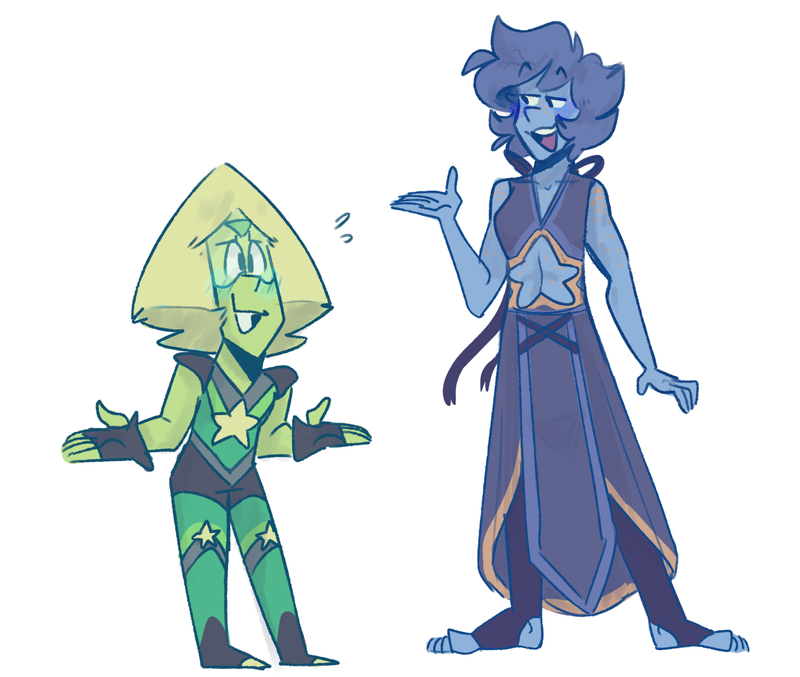 Will Peridot get star hair? 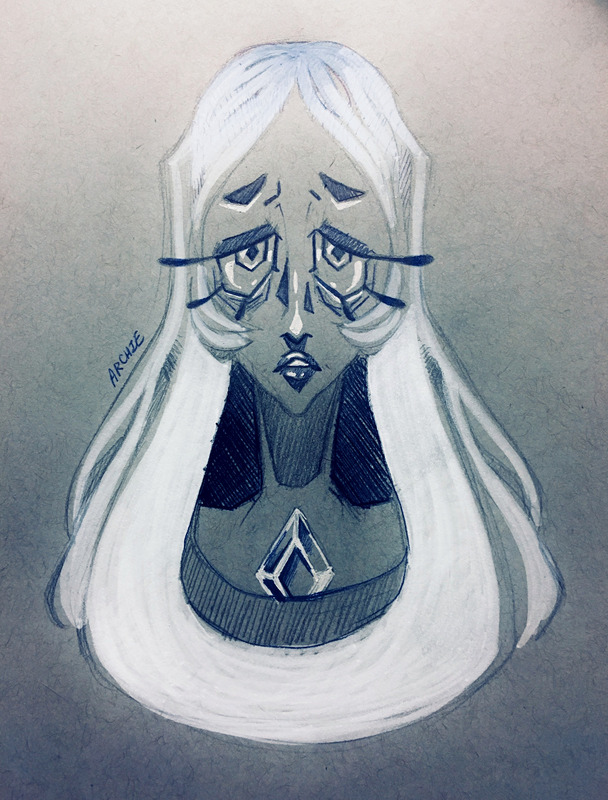 Hello hello, it's meep morp time! "Shine Bright Like a Diamond" ✧ Enamel Pins Kickstarter! Doki Rosi has created these fabulous enamel pins, but needs your help with the funding! Oh, wait, the Kickstarter actually HAS been funded, so if you want a set of these all you have to do is go and place an order! There are 2 weeks to go if you want to show your support and get some sweet swag! Look at this amazing animation! Seriously, this thing is 4 minutes long, that's amazing. Featuring the super cute pearls from the series. Fan Theory: Connie Is A Gem Hybrid EVIDENCE! I guess since White Diamond is out of the bag, it's time to return to some classic crack theories! Hey, let's not forget that 'Rose is PD' was a crack theory once. Anything can happen! It's another adorable Steven voice! The other gems aren't too bad either. All in all, a great dub!